If you live anywhere in Ohio especially in areas that are rural. You will find yourself with the same issues as anyone who lives in a metro area of Cleveland, Columbus or Cincinnati. When your hard drive fails you will need a professional data recovery service who can work on your Ohio hard drive. We at Data Recovery Cincinnati LLC can work on just about any issue when it comes to successfully extracting data. If you are close enough to the Cincinnati metro area you can drop off your Ohio hard drive at our office location. 8044 Montgomery Road Suite 700 in Cincinnati, OHIO. Our hours of operation are Monday through Thursday 9 to 5pm and Fridays 8:30am to 4pm. In addition, if you are not close enough for an office drop off we can send you a free shipping label. If you are shipping your Ohio hard drive to us please make sure you package it in a lot of bubble wrap and tight inside of a box. We will email you a FedEx or UPS shipping that you will print off and place on the outside of the box for shipping. Depending on what is close to you for a drop off location such as a FedEx store or UPS store let us know. We will provide the appropriate shipping label for your hard drive package. Data Recovery Cincinnati understands how important it is to have a data recovery services provider near me when deciding. If you have any further questions please do not hesitate to call us at 513-338-9756. Or if you want to learn more please look at other articles and pages on our website such as our Advanced Data Recovery. You can learn more about what data recovery entails and possibly what tools are utilized in your Ohio hard drive recovery. Data Recovery Cincinnati can recovery your hard drive. 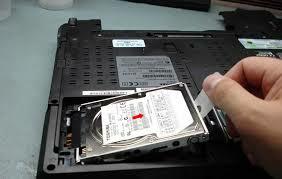 We provide hard drive recovery services in the greater Ohio area.